What is theology? How is it related to personal faith and pastoral practice? How does one go about studying theology? 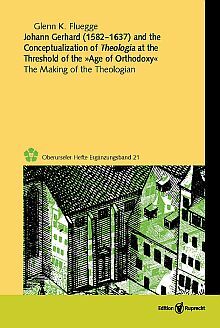 This book explores how one prominent Lutheran theologian, Johann Gerhard (1582–1637), addressed these enduring questions at the beginning of the »Age of Orthodoxy« during a time of tension between those who viewed theology as personal piety and those who considered it an academic discipline. This makes his understanding of theology rather insightful and quite unique. Fluegge closely examines a wide variety of Gerhard’s writings and proposes a more nuanced understanding of this important theologian’s transitional concept of theology and its connection to other aspects of life. Throughout one gains a deeper appreciation for this often neglected period of Christianity. 3.4 Gerhard’s Concept of Practica: Auto-praxis or Allo-praxis?